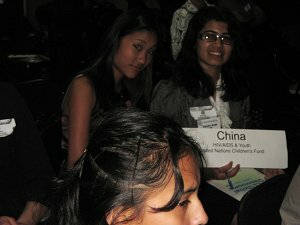 Any student who is interested in promoting peace & security of the world, and in obtaining a hands-on experience of the United Nations delegation may join the team. 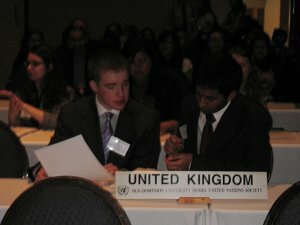 Dominion's team has received "the Spirit of the United Nations" award which was given to the best delegation at the XXVII ODU MUN Conference, and most recently, Dominion's MUN has been recognized as the best small school delegation at the XXXII ODU MUN Conference. 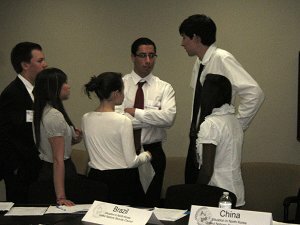 Any student who is interested in promoting peace & security of the world, and in obtaining a hands-on experience of theUnited Nations delegation may join the team. 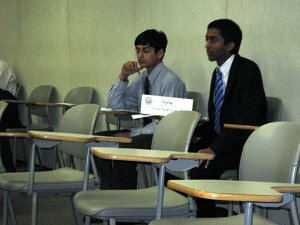 Dominion MUN team has been participating in various MUN conferences sponsored by College of William & Mary, Old Dominion University and University of Virginia, the Model Arab League, the US State Department conferences representing Turkey, Somalia, the Netherlands, Denmark, Pakistan, Slovakia and People's Republic of China, Singapore, Norway, Palestine, the Republic of Korea, Lebanon, Saudi Arabia, Cameroon, Nigeria, Belgium, India, and The United Kingdom for the past 8 years. 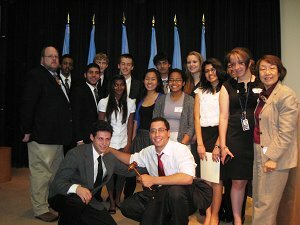 Dominion's team has received "the Spirit of the United Nations" award which was given to the best delegation at the XXVII ODU MUN Conference, and most recently, Dominion's MUN Team was again recognized as the best small school delegation at the XXXII ODU MUN and the US State Department Conferences. The team meets in the media center on every Friday afternoon at 4:00 PM, and Mrs. Esther Kim has been sponsoring the Team since Dominion opened in 2003.